This craft activity is easy to do but to do it under adult supervision for cleaning with alcohol and using the oven. Prepare your workspace with newspaper and place all neccessary supplies in front of you. 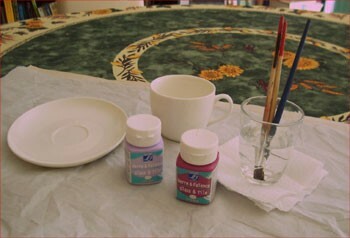 Start with a clean cup and saucer by rubbing alcohol with a paper towel to degrease them well before applying the paint. 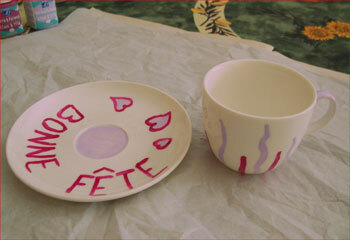 Using the brush and paint to decorate the cup and saucer. 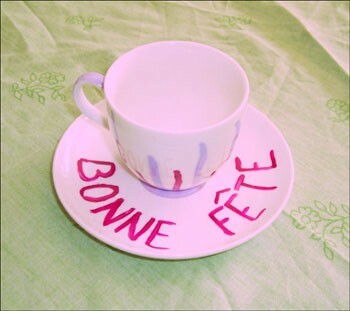 You can paint hearts, shapes and even write a messages around the edge of the cup. Let the cup and saucer dry for 2 or 3 days. Read the instructions on the back of the paint to know the exact drying time. 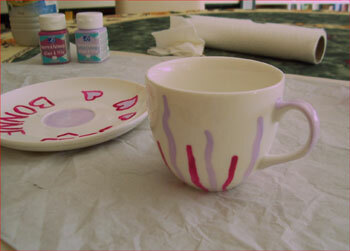 Once the paint is dry, bake the cup and saucer. This will secure the painting to keep the set dishwasher safe. Refer to the painting instructions you use. Generally, it takes about 30 minutes at 300 ° without preheating the oven. Ask an adult to help you with this part of the project. Now wrap this beautiful gift to give to that special someone. And that's it. 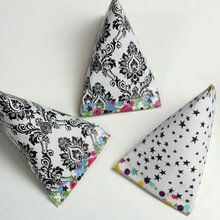 Here you have a very simple design, but you can find use other beautiful patterns and designs.